One thing that struck me when I read about Carlos Slim Helu (the richest Man in the World) was that he was taught business practice from his dad, and by 12, he already had bought government bonds and shares in a Mexican bank. Many Kids are aware of the concept of money long before they can actually add or subtract properly. They watch you pay for things at the supermarket, they watch you collect money from the ATM. 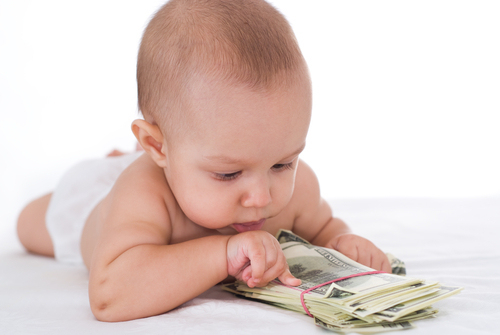 Money gives people (both young and old) decision-making opportunities. Educating, motivating, and empowering children to become regular savers and investors will enable them to keep more of the money they earn and do more with the money they spend. Saving is a great way to stimulate self control and delayed gratification, and it has been proven that people with these abilities are good with other life skills. All parents want their kids to have the ability to wait, to be patient, to have self-control, and to be able access their will power. Those skills help us all do what’s needed in life- to persevere. Some kids are born with those capabilities, but most have to be taught. As soon as children can count, introduce them to money. In fact, don't wait until they can count, as soon as they start making demands like "buy me this" and "buy me that" take an active role in providing them with information about purchases. Communicate with children as they grow about your values concerning money - how to save it, how to make it grow, and most importantly, how to spend it wisely. Children should learn the differences between needs, wants, and wishes. When you give them an allowance, they should be allowed to spend it on what ever they choose but they must live with the consequences of a good or bad purchase --Welcome to the real world! If they want something expensive you can offer a loan and introduce a loan repayment schedule, you can even create a spreadsheet for it. This will prepare them for making good spending decisions in the future. I think so much of the challenge around kids and money comes from our own money issues that we haven’t fully resolved, and not wanting to pass them on to our children. Teaching financial literacy is like teaching any other skill, we do a great job teaching our children about respect, manners, how to be cultured, how to make their beds and brush their teeth,but so often we neglect teaching them to be financially astute.